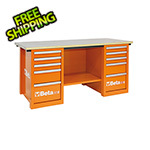 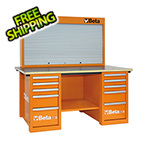 The C57S Series workbenches from Beta Tools are designed for professional use. 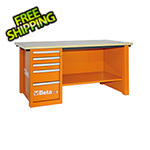 In addition to a stable work surface, these stationary workstations offer secure tool storage with a built-in 5-drawer side cabinet. 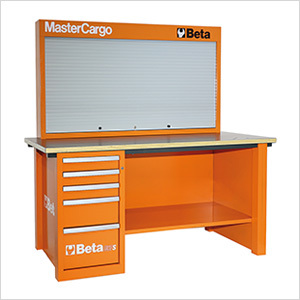 This workbench also features a C57P MasterCargo tool storage panel for additional tool storage.